The Hallmark Channel would like to get its hands on Stefan and Cindy Munker’s love story for one of its movies. Stefan, a native of Fuerth, Germany, was a theology student at the University of Munich when he left to study for a year at The Lutheran Theological Seminary at Gettysburg, PA (now United Seminary) as part of an exchange program sponsored by the Collegium Oecumenicum in Munich. At Gettysburg, Stefan met Cindy Rasschaert, who was in her senior year. She grew up in Saint Clair Shores, a Detroit suburb. Upon graduation, she was called to Mt. Zion Lutheran Church in Oak Lawn, IL, a Chicago suburb. Stefan returned to Germany to complete his studies at the University of Munich. Here is where many a love story would end. Not so for these two. They married in a civil service at the German equivalent of the courthouse. When he returned to the states they had the church service to bless their marriage. 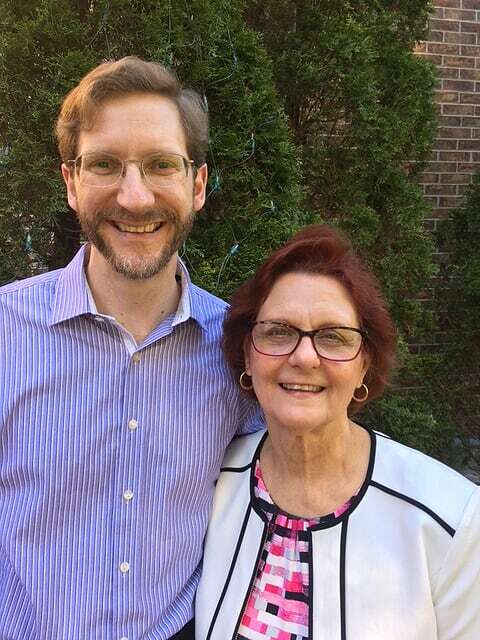 Stefan enrolled at the Lutheran School of Theology—Chicago, served an internship and took classes to prepare for ministry in the American context, classes such as US church history, homiletics, and worship. Stefan’s first call was as an associate pastor at Our Savior’s Lutheran Church in Burbank, IL, a Chicago suburb. After seven years he accepted the call to be the pastor of Grace in Mt. Prospect, IL where he served for six years. A year ago Stefan and Cindy moved away from the Chicago area. 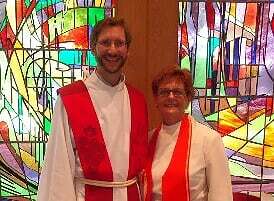 Stefan is pastor of St. Paul Lutheran Church in Hillsboro, IL. Cindy has a two-point charge, Mt. Zion and Trinity in Litchfield. Stefan signed up for the Crossings Conference last January because of its title, Up Weak Knees. He came seeking to ground himself once again in God’s promises. He said, “Jesus brings us hope we cannot have on our own. We ask what God wants us to do at Hillsboro. The conference helped me see there is more to it than the programs we devise or our fear because St. Paul church isn’t what it used to be in terms of numbers. God is present in our everyday lives. God has purpose for us and our church far beyond our own doing. When asked about the impact the conference had on him, Stefan began by saying, “I got to know new people who are passionate about working in the church and lay people passionate about living out their faith. As a new person, I was welcomed into the fellowship. I appreciated the time off from the regular routine to be exposed to new ideas. The presentations from Decolonize Lutheranism and Mockingbird Ministries, for example, illustrated Crossings. We received solid grounding in scripture and theology from others. Stefan commends the Crossings conference and method to all who are seeking a biblically grounded and theologically sound way to understand, communicate and live out the message of Jesus, or: God’s (Hallmark) love story with the world.